Pound 4 Pound Boxing Report Podcast # 95 – How Good Is Leo Santa Cruz? 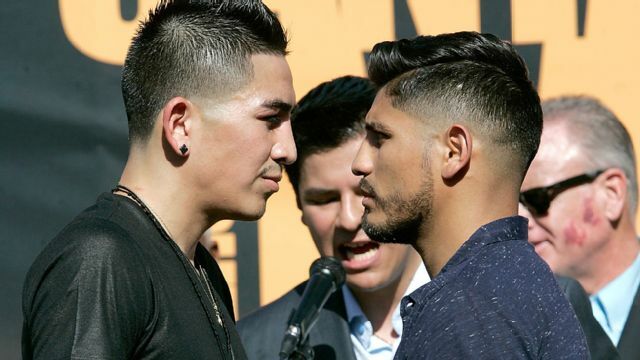 – We recap Leo Santa Cruz majority decision win over Abner Mares last weekend. 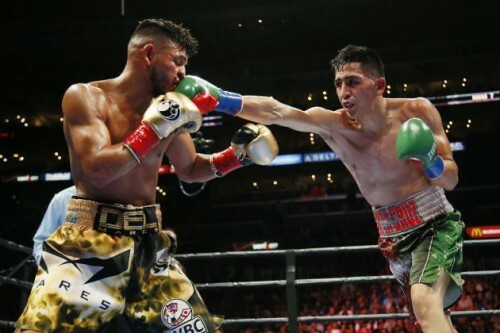 Does Santa Cruz win over Abner Mares change your perception of him, and where does he rank among the top Jr. Featherweights and Featherweights in the world? – On the undercard of Santa Julio Ceja scores a dramatic comeback stoppage over Hugo Ruiz. We talk about this exciting war, and was this the fight of the night? – And yeah, we will talk about the Mosley – Mayorga rematch. – We talk about Kell Brook’s upcoming bout against Diego Chaves. – Timothy Bradley and trainer Joel Diaz have decided to part ways. Is this a good or bad move for Bradley. – Our observation of the promotional press tours happening for Gennady Golovkin vs. David Lemieux and Miguel Cotto vs. Canelo Alvarez. – We discuss upcoming bouts for Terence Crawford, Andrzej Fonfara, and a possible Nicholas Walters vs. Yuriorkis Gamboa showdown. – Our analysis of Floyd Mayweather All-Access and footage of Mayweather sparring (which a rarity). Pound 4 Pound Boxing Report 8/28/13 – Upset of the Year! 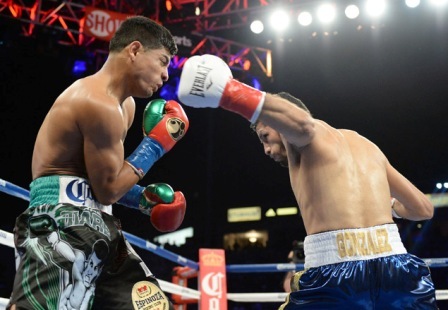 – Jhonny Gonzalez TKO over Abner Mares in boxing’s upset of the year for 2013. – Leo Santa Cruz TKO win over Victor Terrazas. – Omar Narvaez and his legacy. – Andre Ward’s difficulty landing an opponent. – David vs. Tyson Fury picked up by HBO. – Date finalized for Jean Pascal vs. Lucian Bute.